A star of Salman Khan’s standing can seldom shoot in a crowded area without the fear of being mobbed. But the star took the risk and successfully shot a crucial scene for his upcoming film Bodyguard in the crowded streets of Colaba and Flora Fountain area that too at the time when the traffic was at its peak. 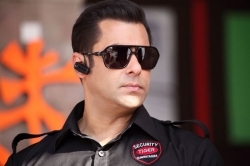 From what we hear, Salman disguised himself in the look of his character (a bodyguard) and walked the crowded streets while the cameras were rolling. To keep the shoot discreet, the unit stayed away and the cameras were placed on the top of surrounding buildings. Thankfully none in the crowd was able to recognize Salman and the shot was filmed successfully.